Easy to set up, easy to use. No experience necessary. 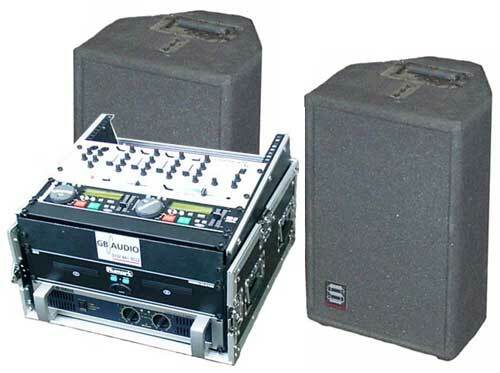 Suitable for weddings, parties, demonstrations, product launches, chill out rooms. Fits easily in most cars. Rack containing professional Numark twin CD player, Citronic mixer, Yamaha amplifier. Also included: Shure microphone and Beyer headphones, mic stand, all connecting leads. Choice of speakers - Shermann D301s or MR300s with tripod stands. Optional radio mic available - hand held or lapel or head worn (small additional charge).